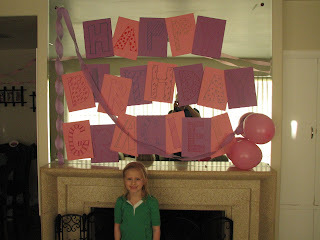 On March 4th, 2009, Gracie turned 6! The day was full of celebrating. She said her day was even better than she expected! 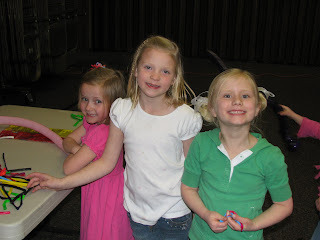 Elllie, Addie and I took cupcakes to her kindergarten class. It was fun to visit the class. 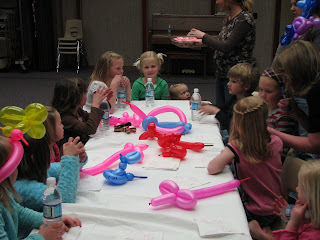 Then we enjoyed a party at the church with a blow-up house to jump in and a gal making as many balloon animals as each child wanted. 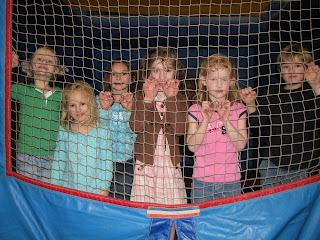 The events at the party were a surprise to Gracie, her choice. Shortly after the party started she came over to me and said, "Thanks Mom!" It was sure fun to see her so excited! I am so glad she had such a great day! 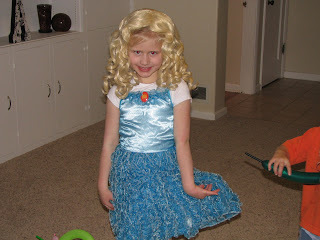 Gracie got a Sharpay (from High School Musical) dress-up with a wig from her cousins. She loved it! I am so thankful Gracie is a part of our family! She is such a good girl. She has a good heart and tries to do the right thing. I appreciate that she tells the truth. She is a great help to her two sisters! She enjoys being in the lime light and has a darling personality! She can quote movies and remember lyrics with watching or hearing once. She has a great memory. She recognized the Spirit a couple Saturday's when she attended a friends' baptism. She said she felt like a warm coat was over her and that it was cozy. 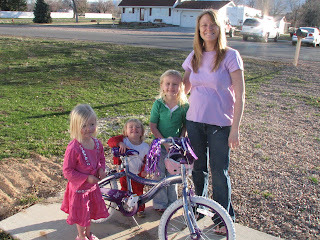 She is a strong supporter of Family Home Evening and is a great help! She loves Primary and enjoys singing. She really is so sweet.